Promoted as Championship Winners, Cardiff City, join Swansea as the second Welsh team currently in the Premier League. 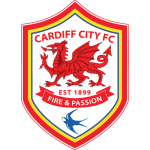 For a long time it looked more likely that Cardiff would be the first of the two to reach the top tier, but it was only this season that the perennial promotion chasers achieved their goal. Having fallen short in the playoffs for 3 consecutive years, the clubs primary colour controversially was changed from blue to red in an attempt to change club fortunes. 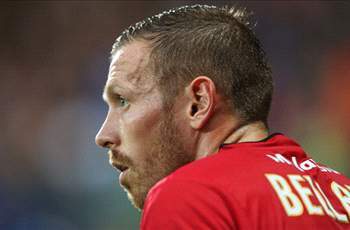 Now, having reached the Premier League the real challenge for Cardiff’s Reds begins. Malky Mackay took over as manager of Cardiff in June 2011. 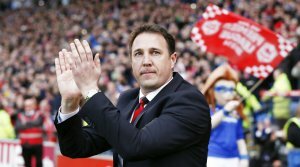 In his first season as manager, Mackay brought Cardiff back to the playoffs, following a 6th place finish. Undoubtedly more impressive though was the manner in which he guided his team to the League Cup Final. In the final, they pushed Liverpool to the death, narrowly losing out on penalties. Mackay won the LMA’s Championship Manager of the year last season in gaining promotion to the top division. Although he’s never managed in the Premier League, Mackay has top flight experience as a player with Watford. 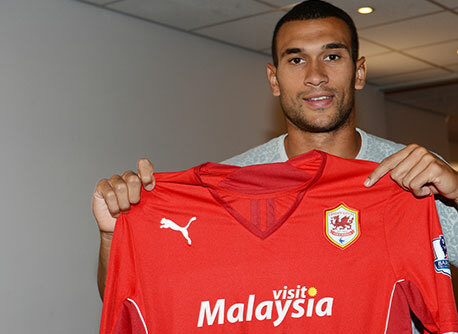 If Cardiff are to have any chance of survival, Steven Caulker will be pivotal. Caulker, a commanding young centre back, signed from Tottenham for a club record £8m fee. Already capped by England, having featured at all levels of underage international football as well as with the GB Olympic team, Caulker has over 40 games of Premier League experience to his name. Having proven his Premier League quality while on loan at Swansea, Caulker returned to Spurs last season where he figured as an important part of Andre Villas Boas defensive plans. This made it even more surprising that he was allowed to leave Tottenham, but Caulker’s motivation has since become clear. After getting his first taste of senior international football, the ambitious young Caulker decided he wanted to ensure first team football in the run up to the 2014 World Cup in Brazil. With this in mind, Caulker will be determined to lead Cardiff to safety and secure his seat on Roy Hodgson’s plane. Caulker’s importance cannot be overstated as he provides the Cardiff back line with the athleticism and Premier League experience it otherwise lacks. The question Cardiff will have is, are the players who got them promoted good enough to keep them up? Although they have strengthened with a couple of good young signings, and bulked up their midfield with Chilean enforcer, Gary Medel, the core of this team will be very similar to last year’s. It isn’t unfair to say that with the exception of Bellamy, (pictured below) that team comprised mainly of players who were deemed not good enough for Premier League clubs. 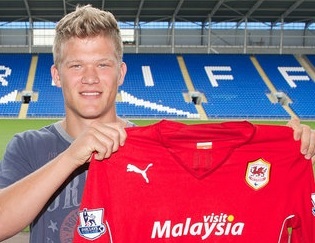 The likes of Peter Whittingham, Matt Connolly, Mark Hudson and Fraizer Campbell may all have a point to prove, but unless the likes of Caulker and promising Dane, Andreas Cornelius (pictured above) can take them to another level, their doubters will be proven right again. An interesting and well-reasoned piece. I’ve been mulling over how the likes of Cardiff can stay up myself (http://scotandscouse.wordpress.com/2013/08/13/the-promotion-commotion-12/) Out of interest, why do you place Cardiff in 20th? It seems they have the strongest squad of the three promoted sides. Perhaps it’s due to managerial experience? Thanks a lot for your feedback. I enjoyed reading your piece there as well. The inexperience of Malky Mackay definitely plays a big part in our prediction for Cardiff to finish bottom, but aside from that I genuinely don’t think their squad looks like a group cut out for the top flight. Caulker is definitely a great signing, but I don’t see many other quality options in terms of defence. Medel will add solidity in midfield, but around him, are the likes of Peter Whittingham really good enough? Perhaps most importantly though, none of their goalkeepers have any sort of Premier League experience. I think it was a case of them building a squad designed to win the Championship rather than to go forward into the Premier League. Crystal Palace are not much better, but I think Holloway will have learned a lot from his time at Blackpool. And as I outline here (https://morethanagamesports.com/2013/08/12/premier-league-2013-preview-day-1-hull-city/) I really think Hull are the squad best equipped to survive out of the three newly promoted clubs. Again, an excellent piece, and well argued too. Many would disagree. What I’ll be mentioning clearly in Part 2 of the Promotion Commotion article is that Hull lack a cutting edge. For me, it’s hard to see where the goals are coming from, which is a worry for any side. Cardiff have made improvements to the “core”, as Brian Clough put it, with Caulker, Medel and Cornelius added (although a lack of proven quality for the PL is an issue) and are a good goalkeeper away from being my tip to stay up. Currently, it looks as if all three will go down. From your previews, I already see that you agree with that point. But I’ve certainly enjoyed this sharing experience, always good to read the opinions of another, especially one who writes such engaging pieces. Also, I can’t help but be impressed at your very well laid out blog. We’re very new to this game, so we’d love any hints or tips.